It takes lots of courage to take the helm of a company that has built a reputation around building dreams. 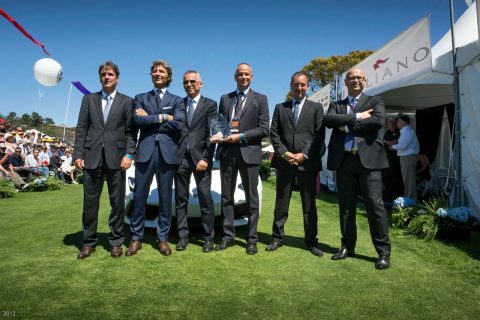 Stefan Winkelmann not only proved that he has the courage, but also the vision to lead Lamborghini to a new era of supercar manufacturing. 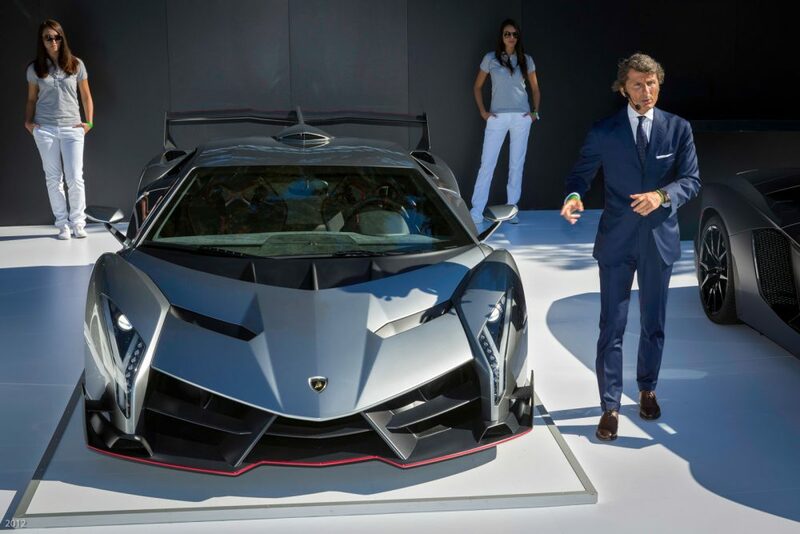 In the past, Lamborghini made it a habit to shock and surprise us each time they unveiled their new supercar, but they also faced tough financial times on multiple occasions until their eventual acquisition by Audi. Don’t let his Stefan Winkelmann’s Germanic name fool you—he grew up in Rome, and his demeanor along with his accent are decidedly Italian. 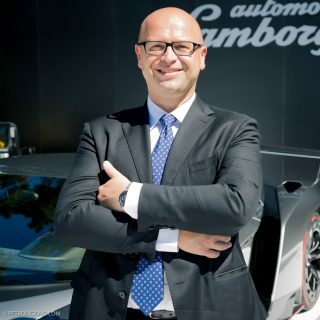 Since his appointment to the CEO position of Lamborghini in 2005, Mr. Winkelmann has been on a mission to achieve what seems impossible in today’s automotive reality: building exotic supercars that continue to shock us at the same time as running a profitable company. I met Mr. Winkelmann at the Quail and asked him about the dream industry. AB: You got involved in the auto industry back in the ‘90s. How did you get interested in cars and where did the passion for cars come from? SW: When I was a kid growing up in Rome, all the kids my age where more into motorbikes than cars. Because there was no helmet law, it was absolute freedom for us. Only after I got my degree in political science did I, by chance, step into the the automotive industry. I like everything which is a brand that I can touch and feel. Therefore, there are challenges in the auto industry, because cars are the most complex branded products you can sell, due to the development, the sales, the aftersales, the used car business. This is something very intriguing, very complex, and I liked it from the very first moment stepping into this industry. AB: It must have been a dream living in Rome in its heyday with all the motorbikes racing from cafe to cafe. SW: My father was a diplomat for the United Nations in Rome, and it was a dream time. I lived there for 20 years. The weather is always good, and you’re always outside, so the motorcycle gives you more freedom than anything else. AB: You obviously have a lot of passion for machines and especially sports cars. For some people, turning their passion into a career does not always turn out pleasantly. How has the experience been for you so far? Does it continue to be a passion? SW: It’s still a passion. You have to stay hungry. You have to look ahead. You never have to be happy with what you achieve personally, because it’s not about you personally, but what the brand and company is achieving. 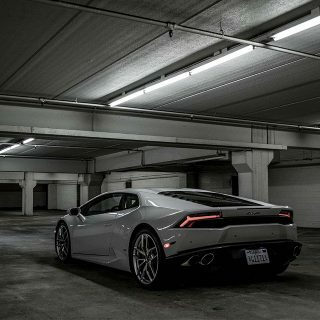 For Lamborghini, it’s not about tomorrow, but the day after tomorrow. This is our challenge, and it’s something we have to keep going despite any difficulties or challenges the future may present. You have to be aware of the fact that if you are in Lamborghini, you have to keep the dream alive and to continue to build cars that. 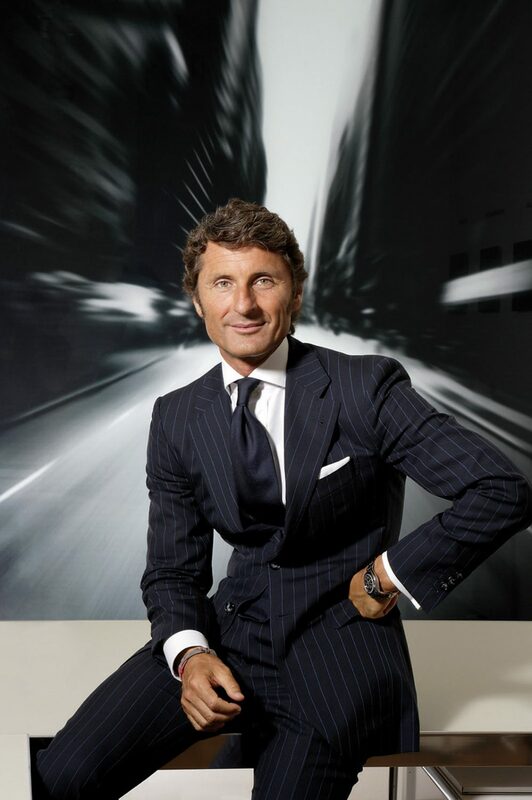 AB: What’s been the most rewarding part of being the CEO of Lamborghini? SW: For me personally, it’s the Aventator, which is the first car that I followed from scratch starting from the development. 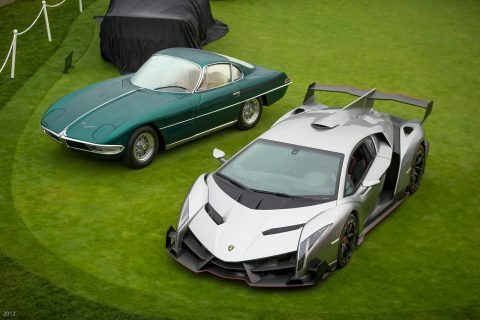 I know everything about the car, all the challenges we had in the years of development, and then all the gratification in terms of the success the car is giving to the brand, to the company, and to everyone at Lamborghini. AB: The main success metrics for any CEO are the same regardless of the industry. Increasing shareholder value, profits, and revenue are goals of any CEO. Are there some other ways you measure success that are unique to Lamborghini? SW: We have limited volume, because we have a very limited market, and yet we have high expenditure in R&D. So the balance in what we spend and what we get back is a big challenge, because we cannot expand sales. Expanding sales means a success in the short-term, but it means destroying the brand long term. Keeping this balance in Lamborghini is a bit different than in other companies. 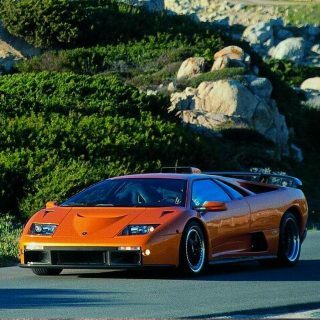 In other companies, more volume is better, whereas at Lamborghini, more is not always the best. You have to keep constantly working on the numbers, constantly investing in the right things. The idea is that you want it all. There are so many things you could do, but you have to know where to spend each dollar you have in your pocket, and you have to put it into the right innovation or technique where at the end of the day it pays back by the success of the car, the company, and the brand. AB: The Veneno is limited to to just 4 example, only three of which have been sold and one destined for the Lamborghini museum. Is such a limited production model actually profitable, or is it created to enhance the brand and image of Lamborghini as a whole? SW: It has to be both. If we do a project, it has to be profitable. For sure it also has to pay into the brand, so these two things are a must. We cannot only do concept cars and not think about what to do with them. We have done concept cars in the past and will continue to do them, but the base idea is to have out of the concept cars a minimum amount of cars that you can sell. AB: Lamborghini has gone on record many times saying that it’s a company that looks into the future and not into the past. This week at Monterey, all the events are about celebrating the past. 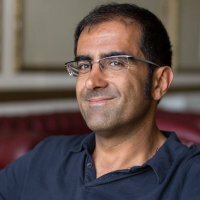 How much does heritage play a role in your strategy or brand? SW: Heritage is one of the main pillars of the brand. If you don’t have roots, and if you don’t have cars that are legendary and the pinnacle of the brand, like the Miura or the Countach, it’s very difficult to build a brand. 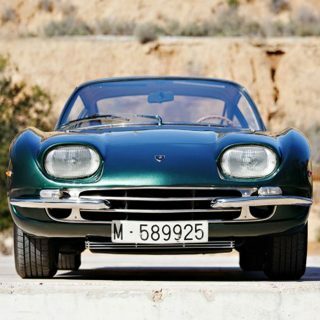 We’re lucky, because shortly after the Miura was introduced, it was a huge worldwide success, and still today it’s one of the most known cars around the world. So having history, having the roots in the same place, having a museum in Sant’Agata Bolognese where our headquarters and factory are located, this is all very important to Lamborghini. We look to the future so that we don’t repeat the past, but it’s very clear without tradition without history there would be no big name. 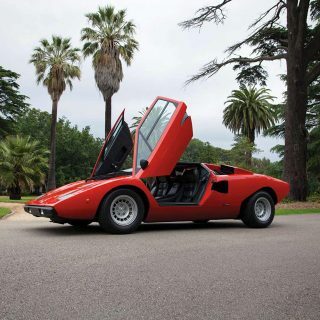 AB: Do you have a favorite vintage Lamborghini? SW: I prefer to always say the newest to come. AB: What it is your ideal or your dream of how to leave Lamborghini? In other words, what does Lamborghini as a company look like when you hand it over to the next CEO? SW: You know, there is no end. There is a constant task to develop, to be a trendsetter, and to be on top of technical innovation. This is something which is never ending. If we can achieve this on a constant basis, this is the best thing we can do. To stay alive as a dream, because we’re not building cars just for the sake of having something to drive, but really to create dream cars not only for the ones who can buy them, but also for those who are lovers of sports cars. 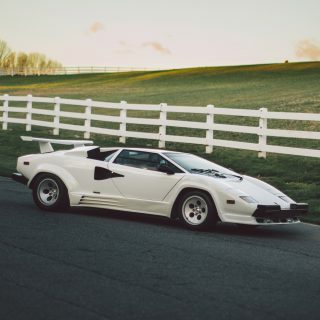 Journal Just Because: It’s A Lamborghini Countach, Dammit! To built any industry whether it is automotive or anyone requires huge potential,struggle and hard work without which it will be difficult to make success.